As part of its permanent collection, UT Knoxville houses an array of outdoor sculpture on campus. To complete a self-guided walking tour, check out this interactive map, created by sculpture student Zac Benson, which indicates the locations of individual pieces, and contains a wealth of additional information about each artist. Artist Joseph Delaney was born in Knoxville, Tennessee, in 1904, ninth of ten children and the son of a Methodist minister. As a youth, Joseph attended school in Knoxville, Leaving the Knoxville Colored High School at the conclusion of his ninth grade year. The next few years were spent doing odd jobs around town until leaving for Chicago in 1924. He returned to Knoxville in 1929. In 1930, Joe left Knoxville for New York and soon became a student at the Art students League. (Thomas Hart Benton was an instructor and mentor to Joseph. Some of his classmates were Jackson Pollock, Henry Stair, and Bruce Mitchell.) Drawing and painting from all the various and visual resources available, Joseph spent the next 56 years living and producing his art in the area of Lower Manhattan, SoHo, and Union Square. 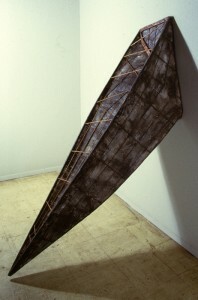 Joseph returned to Knoxville to live in 1986 and was artist-in-residence for the University of Tennessee Department of Art until his death in 1991. Walter Haskell Hinton (1886 – 1980) was born in San Francisco, California. Before he turned ten, his family moved to Chicago, where Hinton would grow up and go on to attend the Chicago Art Institute in 1900. He had hoped to become a fine artist, but the death of his father forced him to turn to commercial art production to support his mother. After working in Chicago, New York, and Philadelphia, he eventually returned to Chicago, and bought a house in the suburbs, where he would spend the rest of his life, freelancing and working on his house and yard. 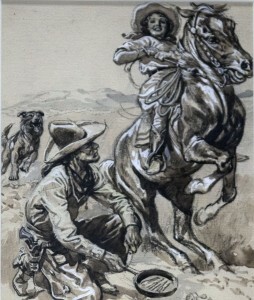 Hinton produced illustrations for the Saturday Evening Post. He illustrated Western Pulp magazines and covers for Sports Afield and Outdoor Life. He had long working relationships with several companies contributing many illustrations to the advertising campaigns of Indian Motorcycles, Fairmont Railway Motors, John Deere, Washington National Insurance Company, and Austin-Western. Hinton was a long-time widower who kept mostly to himself, his son, and his art. He was a consummate draftsman, and his friends and family would describe him as a life-long, self-directed learner, environmentalist, and lover of history and other cultures. Hinton never had a gallery exhibition in his lifetime. 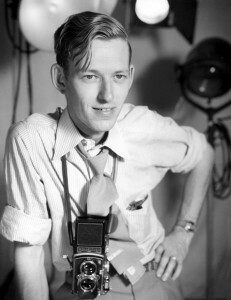 James Edward Westcott (born January 20, 1922) is a photographer who worked for the United States government in Oak Ridge, Tennessee, during the Manhattan Project and the Cold War. As one of the few people permitted to have a camera in the Oak Ridge area during the Manhattan Project, he created the main visual record of the construction and operation of the Oak Ridge production facilities and of civilian life in the enclosed community of Oak Ridge. Carl Cecil Sublett was born in Johnson County, Kentucky Feb. 4, 1919, the only child of Mr. and Mrs. Tandy Taylor and Beaula Fitzpatrick Sublett. He attended Western Kentucky State College from 1938-40 in Bowling Green, KY.
Carl was called to serve in the military and joined the U.S. Army. He served in the infantry as a sergeant in the 85th Division of the 5th Army in Italy. During the war some of his camp sketches were printed in the division newspaper and some made their way home in V-mail. After hostilities ceased, Sublett entered the University Study Center in Florence, Italy and received the Citizens Award for his artwork by the people of Florence. He returned to the States to live in Bristol, Tennessee and worked as an engineering draftsman, as a newspaper artist, as artist and as an assistant manager of an engraving firm and as a freelance artist continuing his own painting at all hours. In 1954 he moved his small family to Knoxville, TN to take a position as Art Director for Charles S. Kane Co., advertisers. He enrolled in evening painting classes at the University of Tennessee with C. Kermit Ewing and soon he was hired to assist Ewing in teaching. He became a Founding member of the art group “The Knoxville Seven”, and won the Mead Corporation Painting of the Year, Atlanta, GA, and also 1st Prize Watercolor Society of Alabama Annual. In 1966 his work was chosen to represent the State of Tennessee in the Governor’s National Circuit Exhibition, was included in the International Festival of Fine Art, Hartford, CT, and in 1966 he became a full time Assistant Professor of Painting at the University of Tennessee, Knoxville. In 1969 Sublett was included in the ongoing Art in U.S. Embassies Program. More awards in the next decade culminated in Carl being elected into the National Academy of Design, NY in 1976 and in the same year he was made full professor at the University of Tennessee. In 1982 he retired from his teaching position. In 1991 The Unseen Carl Sublett was the first exhibit at the new Knoxville Museum of Art, and in 1994 he received a lifetime Achievement Award from the Knoxville Arts Council. Will Henry Stevens (November 28, 1881 – August 25, 1949) was an American modernist painter and naturalist. Stevens is known for his paintings and tonal pastels depicting the rural Southern landscape, abstractions of nature, and non-objective works. 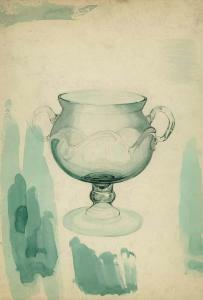 The Ewing Gallery collection began with a small group of prints collected by the first Department Head for the School of Art, C. Kermit "Buck" Ewing. Since those first prints entered the collection in the 1950s, the Ewing Gallery has continued to acquire examples of historical and contemporary printmaking. The presence of acclaimed artists—who have lived and worked in major cultural centers across the country—enhances the educational opportunities for both undergraduate and graduate students enrolled in the University of Tennessee School of Art. With daily contact over the course of a full semester, resident artists develop a unique relationship with the student body which complements the creative stimulation offered by guest lecturers and the School of Art’s faculty. Representing diverse ethnic, cultural, educational, and professional backgrounds, these resident artists introduce another layer of candor and a fresh artistic standard for the students who, though early in their formal art studies, are beginning to develop their own perceptions, skills, and theories in connection with the making of art. Harrison Cady worked as an artist and illustrator for Life magazine. He also illustrated for Boys’ Life, Saturday Evening Post, Ladies’ Home Journal, and Good Housekeeping. Cady had a notable working relationship with artist Thorton W. Burgess that would span fifty years. He illustrated comic strips and stories about Burgess’ many characters, such as, Peter Rabbit, Jimmy Skunk, Chippy Chipmunk, and Reddy Fox. Although he was born and eventually owned a home in Massachusetts, Cady traveled extensively through the American South. Many of the illustrations and prints in the Ewing collections shows scenes from Charleston, South Carolina, and the surrounding areas and Appalachian mountain scenes from the Smoky Mountains. Richard J. LeFevre was born in Rochester, New York, in 1931. He studied with Hans Hoffman at the Rochester Institute of Technology and successfully operated the LeFevre Studio there for a decade. In 1967, he moved to the Knoxville to teach art and design at The University of Tennessee Although his great, great, great grandfather was first cousin to Andrew Jackson, he was not immediately interested in nineteenth-century history. As his Tennessee friends introduced him to interesting stories from the Civil War, he began to seek more knowledge about the period. LeFevre’s quest to present the Civil War through artistic image was finally launched when his wife Carol presented him with a book containing personal accounts of the war. Lefevre spent the remainder of his life making paintings about this war and describing its extraordinary impact on our nation. Richard LeFevre died in September 2000. It was his desire that the Civil War Series be maintained as a coherent presentation of history. His bequest of the complete series to the University of Tennessee’s Ewing Gallery permanent collection ensures that the entire body of work will continue to be available for audiences throughout the United States and for future generations. Richard J. LeFevre’s Civil War Series presents the history of the War Between the States (1861 – 1865) through works on paper that depict 32 of the war’s most significant battles. By combining his love of history and his skill as an illustrator, LeFevre used inventive mixed-media techniques to create these powerful images inspired by his personal investigation into that terrible and definitive era. 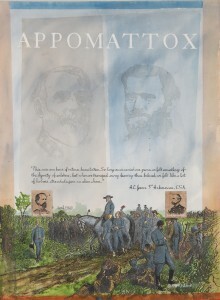 He sought to authenticate the audience experience by incorporating images from period publications such as Harper’s Weekly and Leslie’s Illustrated. Century-old woodcut engravings, made from sketches by Civil War artists who were present at the battles, were flash-framed onto paper with a copier. They were further manipulated with watercolor, pencil, and collage techniques. Some contain photographic tintype images of prominent battle figures. Military leaders, such as Grant, Lee, Meade, Stuart and Farragut are represented in the context of events pertinent to each battle. Throughout the series, LeFevre includes quotes from legendary figures and battle-weary foot soldiers. Technical drawings of engines and ironclads describe precise details of war machines that accompanied soldiers in battle. The paintings are allegorical in nature and are presented in chronological order. The Gettysburg triptych is the centerpiece of the exhibit. The Civil War Series, which took LeFevre four years to complete, portrays the Civil War without bias toward the Union or the Confederacy.